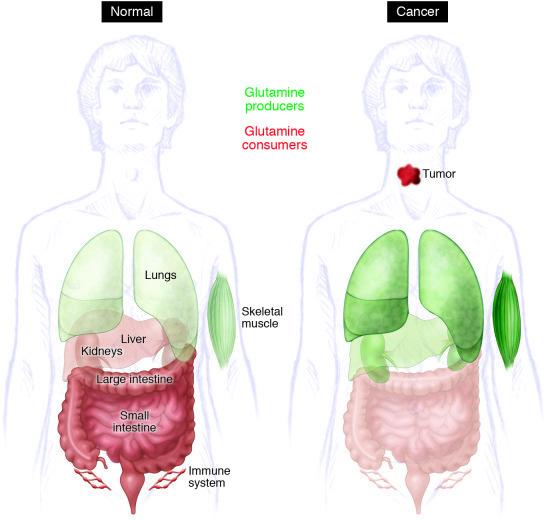 Model for inter-organ glutamine metabolism in health and cancer. Organs that release glutamine into the bloodstream are shown in green, and those that consume glutamine are in red; the shade denotes magnitude of consumption/release. For some organs (liver, kidneys), evidence from model systems and/or human studies suggests that there is a change in net glutamine flux during tumorigenesis.